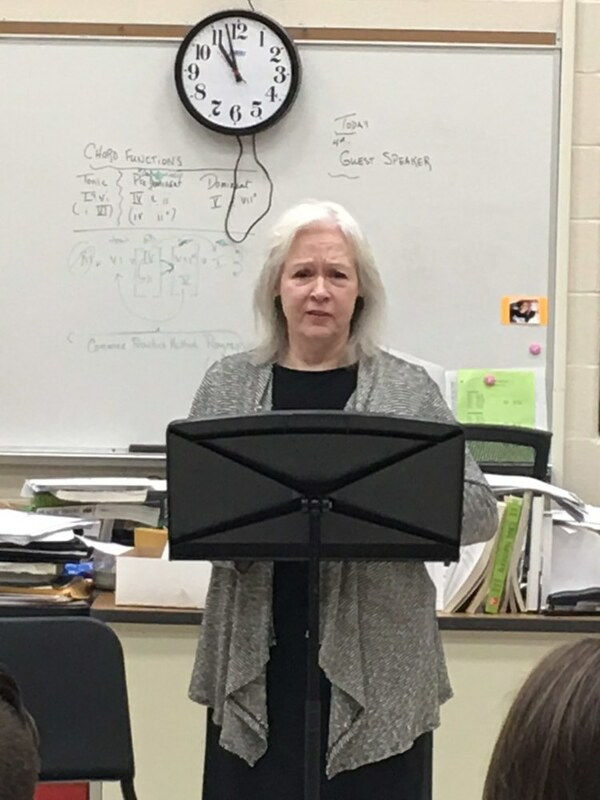 Students in Mrs. Tieman's class listened intently as Linda Sue Huffman, retired United Airline flight attendant, recounted her 9/11 experience on the flight from Amsterdam to D.C. Passengers knew nothing of the tragedy during the flight. Immediately the plane was turned around with the excuse of a leaky fuel line and was unable to return to the US for 4 days. United American Airlines was targeted because of it’s title had America & United—United States of America. Numerous choir students will be traveling to New York soon and have the opportunity to see the 9/11 memorial.